Brimming with color! Fall is a photo harvest. The way those stalks are arranged and spread out is perfect. Very architectural. Great composition. Looks great against the blue sky. The contrasts with the sky are wonderful -- great perspective! The plums look like they could be used in a fall arrangement. 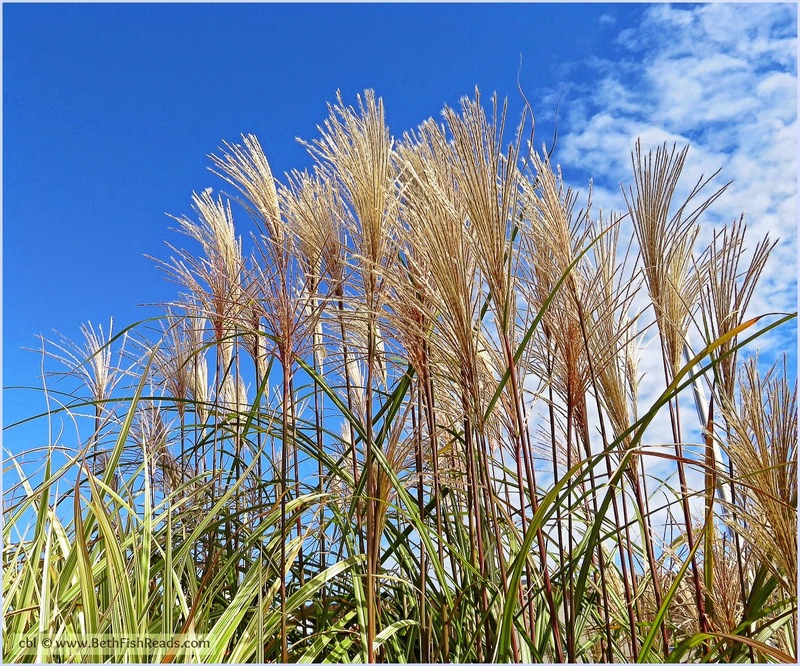 I agree with Cindi, the contrast of the grass with the sky is beautiful! Nicely arranged. Beautiful Fall photo. Thanks for sharing. Great contrast. Love that sky! Wow! What a pretty day! so pretty and so calming at the same time…. Great shot! The grasses are very pretty.